Loving our dogs alone will not always prevent them from acting with aggression. 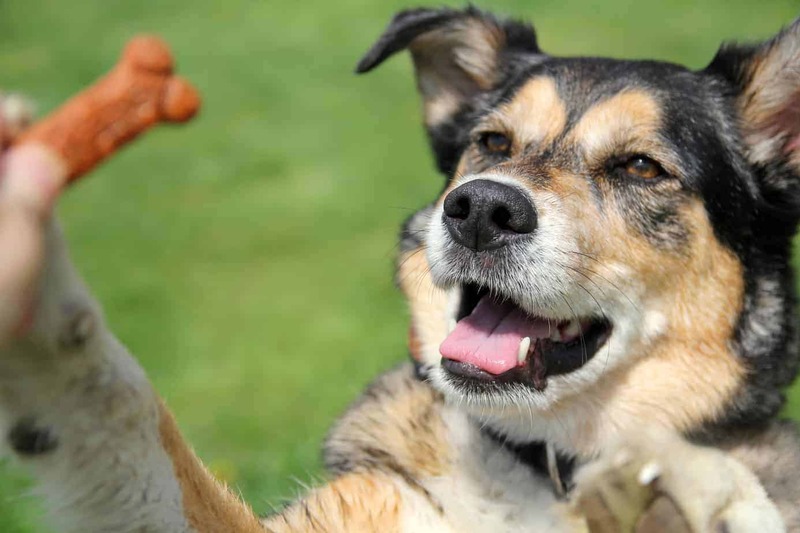 Their hormones, their daily lives, their natural temperament, our mistakes dealing with them—all combine to affect your dog’s ability to deal with real and perceived threats in the world. The Centers for Disease Control and Prevention found that approximately 4.7 million dog bites happen in the United States annually. Unfortunately, humans will send over 3 million dogs to shelters, and 1.5 million are euthanized each year. 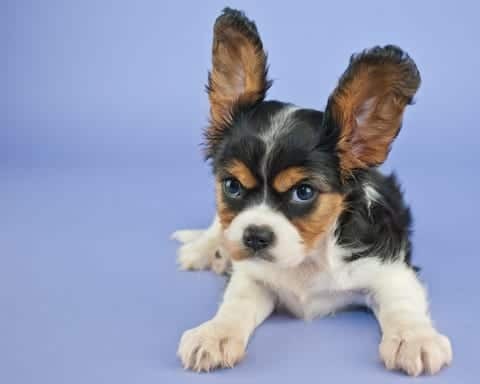 Dogs are natural predators, so they are born to growl, lunge and bite in stressful situations when they need to protect themselves. 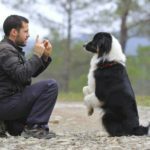 Human owners may also reinforce those canine instincts with the bad habits we use while raising them. To do better by them, we first need to understand why they act as they do. Dogs were born with DNA that says they must hunt and protect themselves against perceived and actual threats. They also have hormones that decrease or exacerbate those instincts, specifically oxytocin and vasopressin. 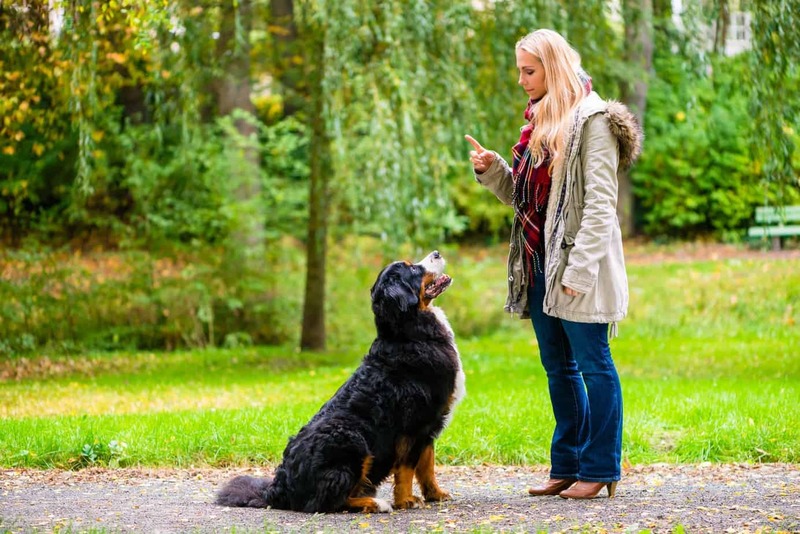 A collaborative study done by scientists at the University of Arizona, Indiana University, North Carolina State University and Duke University was the first to examine how those two hormones interact relative to dog behavior and show how they affected aggressive behavior. They compared hormone levels in dogs with a history of aggression versus those without one to find that aggressive dogs expressed high levels of vasopressin. Service dogs, who are bred to have a calm temperament, represented high levels of oxytocin, a hormone that’s associated with familial bonding following childbirth. Conclusively, the researchers agreed that understanding the connection between vasopressin and aggression could be critical for managing behavior; however, they could not yet determine if the aggressive behavior is hormone-driven or a result of a history of aggressive tendencies. Humans may also encourage aggressive behavior. Isolating dogs increases their stress and anxiety. Dogs on leashes especially dogs new to leashes, often feel confined, which increases their stress. Humans aren’t just making things harder for their dogs. Keep in mind that domesticated dogs are also social creatures. When dogs can interact with humans and other dogs in a friendly way, their oxytocin levels rise. If you aren’t keeping your dog’s natural needs in mind while you’re raising them, it could lead to adverse behaviors when they are older. There are several ways we can spot dog aggression. They become still and alert. They growl. Their eyes dilate, and they pull back their ears. They bark threateningly or incessantly. They lunge at unfamiliar things or people. They nip or bite, harder and harder as stress increases. 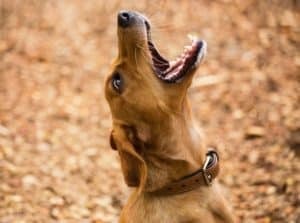 What are the next steps for an aggressive dog? 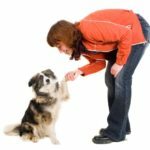 Humans can teach their dogs how to cope with stress and any real or perceived threats. Medical checkup: Your dog may be acting aggressively due to pain or illness. When your dog struggles with aggressive behavior, the ASPCA recommends you first get them checked out by a veterinarian. Daily exercise: All dogs need daily exercise to stay healthy and to decrease boredom, which can lead to aggression. The ASPCA recommends dogs get 30 minutes to two hours per day of high-intensity exercise and to play another 1-2 hours per day. 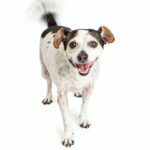 Elderly dogs may need less activity. Bonding: Many of us even sleep with our dogs, which reduces anxiety in both pet and owner. 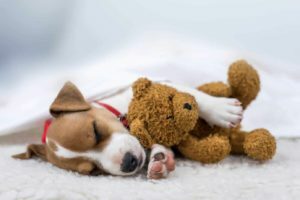 Some practitioners are against you sleeping with your pet as their frequent movements can wake you and lead to sleep deprivation. Experts recommend you make sure your bed is up to standard on reducing motion transfer so you won’t be disturbed by your pet. Socialization: Socializing your dog helps them deal with the world. 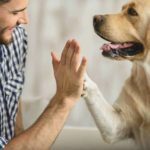 The people at the LaTrobe University in Australia who studied dog socialization found that socializing dogs decreased aggressive behaviors and continued socialization into adulthood yielded good results. If your dog starts exhibiting aggressive behaviors, try your best to avoid frustration as that will only make the situation worse. Just remember your dog has emotions and needs, too. Help your dog cope. It’s good for everyone. Laurie Larson is a freelance writer based in North Carolina. When she isn’t busy writing, she loves cuddling up on the couch between her two pups and a good book.